Romance and sophistication are this week’s watchwords as we take a trip into Lisbon’s historic heart. 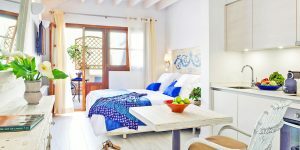 Hidden down a cobbled street lined with orange trees is Memmo Alfama, an adults-only boutique gem with a warm vibe, light and bright rooms, and jaw-dropping views from its rooftop infinity pool. 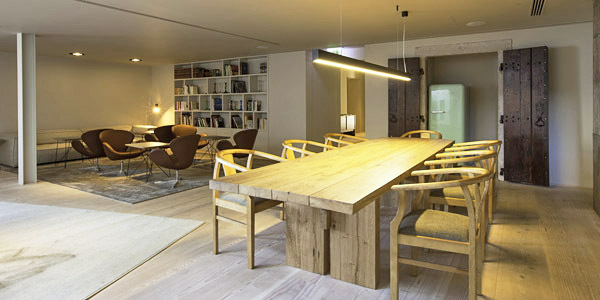 Now filled with trendy cafés and shops and inhabited by a cosmopolitan crowd, Lisbon’s oldest district, Alfama, has seen a period of regeneration in recent years. We loved weaving our way through the maze of streets on the hotel’s free guided walking tour and discovering hidden gems that we’d otherwise have wandered straight past. Rooms: The 42 compact rooms feel airy thanks to their calming colour palette and the glass wall separating the bathroom from the bed (don’t worry, there’s a full-length curtain if you want a bit of privacy). 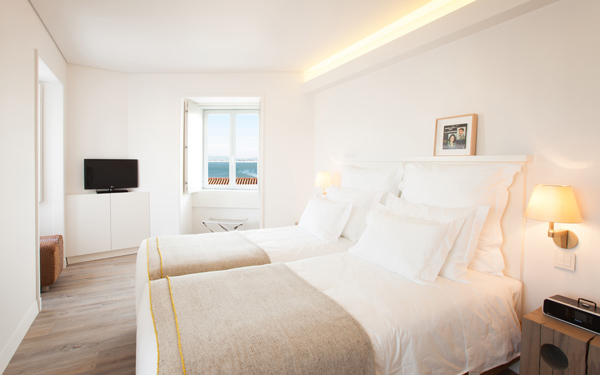 A framed Fado LP reminds you that Alfama is the home of the traditional Portuguese folk music, while the fine linens and piles of cushion mean you’ll sleep in the utmost comfort. 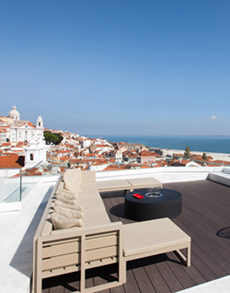 The Alfama Rooms and Terrace Rooms are the best option if you want to gaze out over rooftops and bell towers to the river. Food: A tasty breakfast spread of fruit, cereal, local cheeses, breads and pastries is laid out in the lounge alongside a fridge laden with yoghurts, juices and milk in cool little glass bottles. Bacon and eggs can be cooked to order. 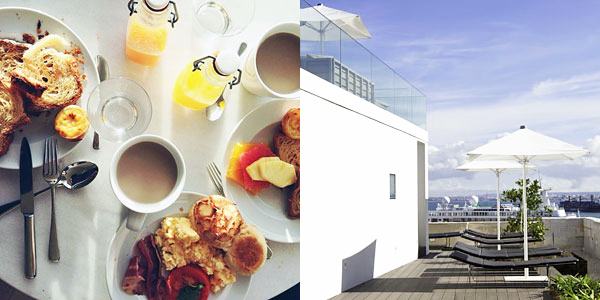 We loved loading our plate and taking it up to the terrace to eat in the sunshine. For other meals, a press of a bell will summon a waiter from the wine bar to take your order of super-fresh seafood, salads or Portuguese tapas. For lighter refreshments, you can raid the honesty fridge for drinks and nibbles. And there’s loads of choice when it comes to eating out in Lisbon, from rustic Portuguese food at pretty Patrono opposite the Museu do Fado, to a quirky take on traditional dishes at 100 Maneiras in Bairro Alto – we loved the ‘codfish clothes line’ (pieces of dehydrated fish pegged onto a clothes line). 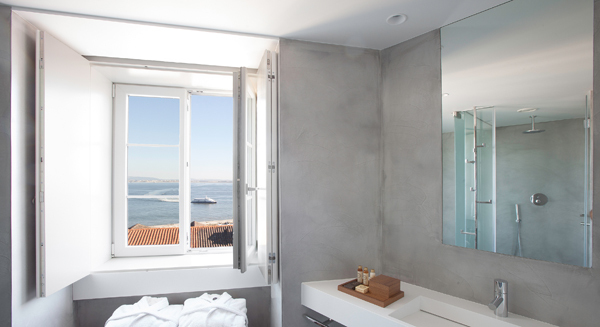 When to go: Lisbon is fabulous at any time. Coastal breezes mean the temperatures are bearable even in the height of summer, and there are festivals throughout the year (including Carnaval in February, the Lisbon Book Fair in April/May, and Rock in Rio Lisboa in mid-May). 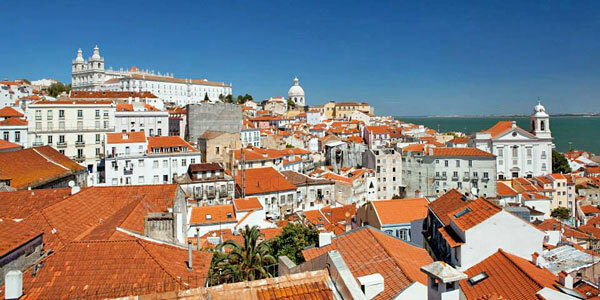 June can be raucous in Alfama, when the area hosts street parties to celebrate various saints’ days – it’s a fascinating time to visit, but don’t expect much sleep. Note that many restaurants and shops close in August, though Memmo Alfama is open at all times.